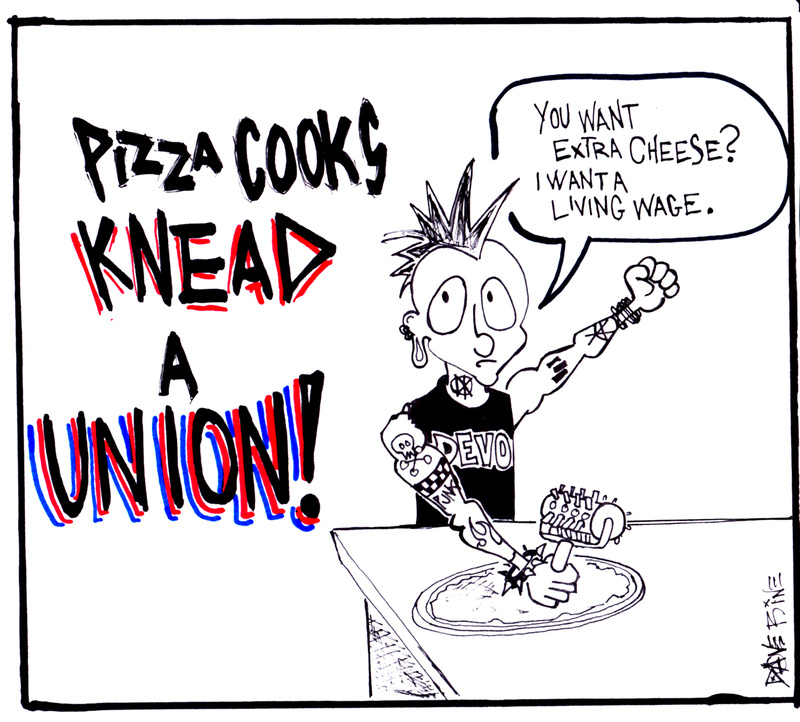 Pizza cooks knead a union! Funny cartoon! Yeah, I work at a restaurant so I can relate. Actually, I think I’m going to join the I.W.W., any worker can, even baristas.